Everyone is waiting for the Liberal government’s new budget on March 22. Prime Minister Justin Trudeau has promised to run deficits in the coming years because billions will be spent on projects like infrastructure, which he predicts will create jobs and help revive the economy. There are also other economy-boosting plans such as cutting taxes for middle-income earners, which has already happened, and revamping child benefits so they help more families. A brief overview of the current state of the economy is evidence that the country is in a slow growth period, with the exception of housing. First, the value of the loonie is dragging and clearly the Bank of Canada (BoC) does not have the power to do anything about it. The latest rate announcement from the BoC left the overnight rate unchanged at 0.5%. One reason may be that a rate cut would continue to heat up consumer credit and housing activity and could potentially increase household debt. The average Canadian household carries $1.65 in debt for every dollar of disposable income – a record high. 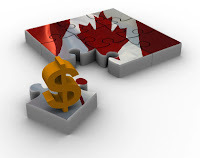 According to Statistics Canada consumer credit and mortgage and non-mortgage loans increased 1.2 per cent to $1.923 trillion at the end of last year. The total included $573.6 billion in consumer credit debt and $1.262 trillion in mortgage debt. Another reason for the central bank’s decision is that it believes it has done all it can to boost the economy. It’s now in the hands of the federal government. Despite a recent mini-rally, the international price of oil had dropped an additional US$20 per barrel since the Bank of Canada’s last economic outlook in October. The freefall seems to be over, but we need more time to rebalance excess supply with weak global demand. Finance Minister Bill Morneau has already predicted a deficit of 18-20 billion dollars for 2016/2017. Should we be worried about big defects? Apparently not, according to The Canadian Centre for Policy Alternatives, The organization has urged Prime Minister Trudeau to allow the deficit to rise to $37.9 billion, but to also take steps to get money into the hands of Canadian consumers to stimulate growth. There is a "multiplier effect" of getting more money into the hands of low and middle-income Canadians, who are more likely to spend it. Yet, once again, the government will be relying on consumers to continue to keep the economy afloat, which it has been doing for the last two years. The Montreal Economic Institute (MEI) has another view. It doesn’t agree with the premise that increasing budget deficits could boost the economy. However, the economy certainly needs a boost as we wait for non-energy sectors to kick in. By all accounts the manufacturing sectors in Ontario, Quebec and British Columbia are doing well. There are signs that Canada’s economy is adjusting to new areas of strength in manufacturing, service and technology industries. Those companies are getting a boost from a weaker dollar, and Canada is now a magnet for tourists. It may still take a few more years for the economy to fully recover and stimulus budgets may help in the interim by speeding up the process. We can only wait to see what the Federal budget looks like and only time will tell if it will work. Housing market activity continues to be an important driver of the Canadian economy. Housing activity creates jobs in the construction and real estate industries, and trickles down to impact the many industries that support construction and real estate through related goods and services. Home equity wealth is enormous in Canada and currently sits in the range of $3 trillion. Homeownership can be considered a “forced saving’s plan”, according to Mortgage Professionals Canada’s Annual State of the Housing Market report released in December. Faster repayment of principal means increased equity. This may be the reason many consumers consider mortgages “good debt”. Most mortgage borrowers understand that the principal part of their payment, while a cost, goes to their bottom line and improves their financial situation. The “net cost” of homeownership (excluding principal repayment) is now very low in historic terms. The report also found that in 2015, 36% of homeowners took actions to reduce their mortgage debt. While many homeowners think in terms of lump-sum payments, which are a great option, there are other ways to save money and pay down that debt. It only takes small changes for you to become mortgage free, save thousands of dollars in interest and increase your equity. According to the report about 950,000 mortgage holders voluntarily increased their regular payments during the past year. The average amount of increase was about $340 per month, for a total of almost $4 billion per year. In addition, voluntary increases that were made in prior years continue to contribute to accelerated repayment of mortgages. Increasing your payment by just $20 a month can have a positive impact simply because the extra money is applied directly against the mortgage principal. This decreases the amount of interest you will pay over the life of the loan. Also in 2015, seven per cent of mortgage holders (about 400,000) increased the frequency of their payments. Just over one million made lump sum payments during the past year. The average amount was about $15,300, for combined repayment estimated at $15.5 billion. About 660,000 households lived in homes that they purchased during the past year (newly-constructed or resale). The average price is $408,800, for a total value of $270 billion. Among these recent homebuyers, there had been an estimated total of $35 billion in mortgages on existing homes that they sold (which would have been discharged or transferred at the time). The combination of $188 billion in financing on purchased homes minus $35 billion on prior dwellings means that home purchases in 2015 have resulted in a net credit growth of $153 billion. About 100,000 Canadian homeowners fully repaid their mortgages during 2015 (up to the date of the fall survey). A further 40,000 expect to fully repay their mortgage before the end of the year. In combination, about 140,000 mortgages will have been fully repaid during the year. 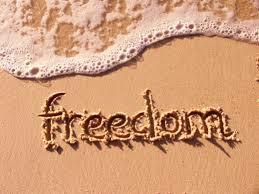 The freedom that being completely debt-free brings is a dream for many Canadians. If you’re unsure of what your next step should be, talk to a mortgage broker. Together you can review your mortgage, look at your financial picture and devise a mortgage-reduction plan that works for you.